1. The person or company doing the Replacement has knowledge of the water heater. This gives you a surety of good work and service. If you do not have the expertise or experience in such should avoid it completely even those others that ought to try it out. 2. If you identify that your heater needs replacement, contact the relevant personnel or company that supplied or is responsible for such the activities. This will give the job to the rightful people. 3. In recognizing any default in performance, switch off use completely. This will eliminate any extra damage that can be brought about. 4. Never allow anyone without experience to handle. As a safety measure it can be dangerous and can hurt or damage those trying it. For easy water heater replacement in Phoenix, AZ. 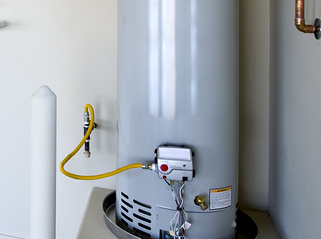 Give us a call and we will be happy to take care of all the hassle of replacing the water heater and making sure everything is installed properly. So, give 4 Fathers a call and you won’t be disappointed with the service we provide.